"Our strategy is grounded in one overriding objective: to detect and destroy every type of missile attack against any American target, whether before or after launch," President Trump said on Thursday when presenting Washington's new missile defence review (MDR). The document specifically singles out four countries which it claimed pose a missile threat to Americans on home soil: North Korea, Iran, Russia and China. The MDR claimed that Russia and China continue to expand and modernise their strategic offensive missile systems, including the development of advanced technologies. "The United States counts on nuclear deterrence to prevent potential Russian or Chinese nuclear attacks using their extensive and well-developed intercontinental missile systems," the document said, describing Moscow and Beijing as two "separate challenges". Trump singled out at least six priorities of the MDR, the first of its kind since 2010. These include putting the defence of Americans first, investing in "new technologies", being prepared for all types of missile attacks, recognising that space is now a 'new war-fighting domain, removing obstacles to US projects, and demanding "burden sharing" from allies. In contrast to the previous MDR, the new one specifically stipulates the deployment of 20 new ground-based interceptors at Fort Greely in Alaska as well as new radars and sensors "to immediately detect foreign missiles launched" against the US. When touching upon new technologies related to the new MDR, Trump stressed that "it is not enough to merely keep pace with our adversaries" and that the US "must outpace them at every single turn". "We must pursue the advanced technology and research to guarantee that the United States is always several steps ahead of those who would do us harm," he underscored. According to him, the new MDR's goal is to protect American from any missile strikes, including ballistic, cruise and hypersonic missiles. Trump underscored that the US is "by the way very advanced also on hypersonic technology" and "will always be at the forefront of everything". The US President also noted that in line with the new MDR, Washington "will recognise that space is a new war-fighting domain with the Space Force leading the way". "My upcoming budget will invest in a space-based missile defence layer technology. It's ultimately going to be a very, very big part of our defence and obviously of our offence", he said. Trump also pledges to ensure that "enemy missiles find no sanctuary on Earth or in the skies above", which he said is the direction that he is currently heading. Under the new MDR, the Pentagon also hopes to develop "scalable, efficient, and compact high energy laser technology" in order to destroy enemy missiles in the boost phase. Right now, the US Defence Department pins its hopes on the F-35 stealth fighter, which it claimed can "track and destroy adversary cruise missiles today", and could be equipped with "a new or modified interceptor capable of shooting down adversary ballistic missiles in their boost phase" in the future. The previous document was compiled by the administration of former US President Barack Obama in February 2010. 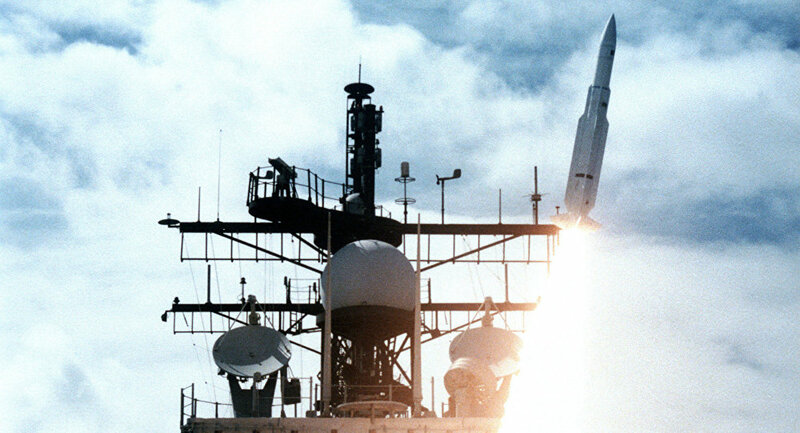 In particular, the MDR noted at the time that Washington is focused on cooperating with Russia in the field of missile defence and that the United States is working with Russia on a "broad agenda related to early warning of missile launches, as well as possible technical cooperation and operational cooperation". The document also prioritised the deployment of non-strategic missile defence elements outside the United States, the further technical improvement of existing anti-missile systems, an increase in the flexibility and speed of deployment of missile defence and a commitment to the implementation of the European step-by-step approach to missile defence. The MDR also described Russia and China as the only countries to have the capacity to carry out a large-scale attack against the United States using ballistic missiles. 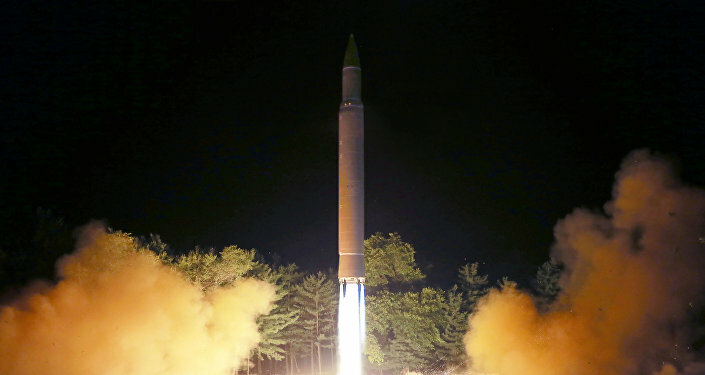 However, American experts reportedly said at the time that such a scenario is "very unlikely and not in the focus of attention" of the US plans in the field of missile defence.